Help CarVenience give back to the community. Visiting the beautiful island of Aruba, with its sunny weather and overall ambiance is extremely attractive for anybody. Unfortunately, for many of the stray dogs and cats on the island their world is not so bright. 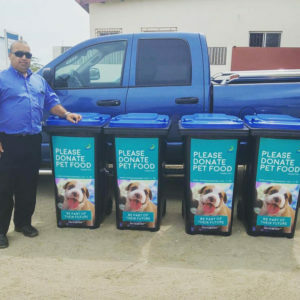 For this reason, CarVenience Rental Cars Aruba has decided to help United Dogs Aruba to take care of the more than 30.000 stray dogs and cats that walk around the streets and dumps without food, shelter and medical care. Above all, United Dogs Aruba and CarVenience Cars Aruba want to make our island beautiful for all its inhabitants. United Dogs is an international organization that has taken particular interest in the island of Aruba. 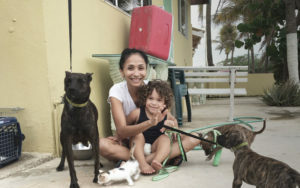 In September of 2015 the organization helped rescue 11 dogs from the kill cage and started a Facebook page called “Rescue Dogs Aruba” with the mission to relocate all dogs to better loving homes. Unfortunately, this was just an insight into the daily lives of stray dogs and cats and a better plan of approach was necessary. United Dogs will organize a spay and neuter project each year for the coming 5 years, starting May 2017. The focus will be for stray dogs and besides your donation, we need a large number of local volunteers. For every $20 donated, one dog will receive the necessary medication and be sterilized. CarVenience Rental Cars Aruba is extremely proud to help sponsor United Dogs Aruba’s latest mission. The “Lets Spay and Neuter” campaign. United Dogs Aruba will set out to trap dogs at the dumps and other dangerous areas after which the dogs will receive medical assistance/operation by local vets who kindly donate operation time. CarVenience Car Rentals Aruba will donate 1 trap cage worth approximately $750,- which will last for up to 2 years. These steal cages are used to place food in the middle of the plateau of the cage. When the dog walks in, and steps on the plateau, the cage closes. Because stray dogs are often very traumatized and scared, it is important that the cages are well camouflaged. CarVenience Car Rentals Aruba is placing a Donationbox at the check-in desk where we kindly ask our clients to donate some spare change for this cause. How much is up to you. We want to make Aruba a safer and a more beautiful place for everyone, which all starts by ensuring the 30.000 stray dogs and cats are taken care for, neutered or spayed and relocated to loving families around the world. The only way we can stop this atrocity from continuing is to neuter/spay our dogs. Help CarVenience Rental Cars Aruba help United Dogs Aruba and donate.